Perfect location for who doesn’t want to spent a lot money and time to reach. You can easily access what you want. Helpful and friendly staff. The location is very good. The showers are nice, good water pressure. The hair-dryer was useful. The staff was very very helpful. Always had an answer for my questions. The property is nice and cosy, but I think not a lot of tourists stay there, mostly people moving places. This can be in your advantage if you want some quiet time. The reception is open 24h. 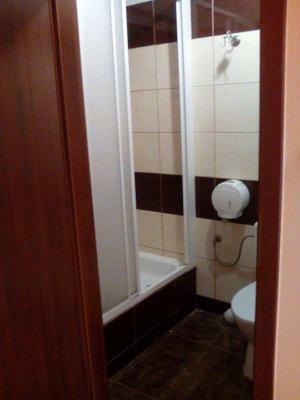 good location, close to the old town, and there is a supermarket nearby. Staff was super helpful, great location for parties and within a very typical neighborhood. Excellent value !!!! 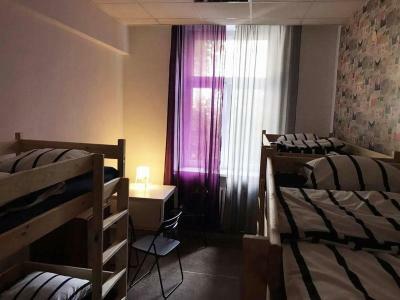 The location is perfect, close to the city center and Museum of Chopin. 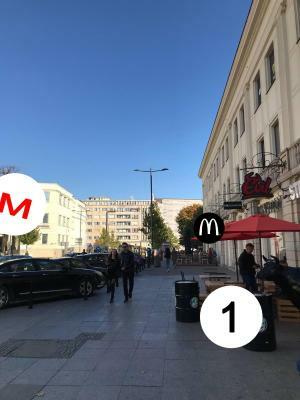 Metro , McDonalds and locasl stores are very close. Personnel is very helpful, they helped me with everything I asked for. Its only the location and the price, and nothing else.! One of our best sellers in Warsaw! 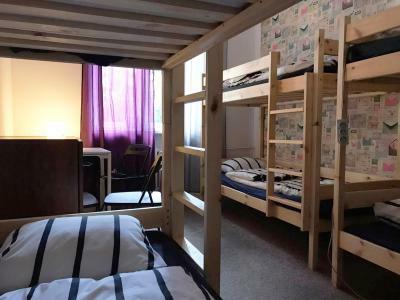 The Warsaw Hostel is ideally set in the Sródmiescie of Warsaw. 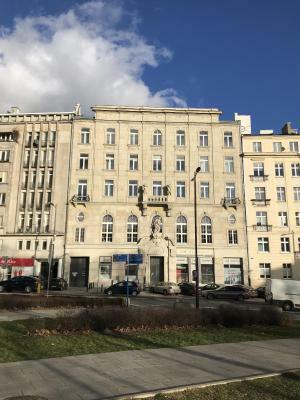 This property is located a short distance from attractions such as Nowy Świat Street, Warsaw University, and Warsaw University Library. Copernicus Science Center is 0.9 miles from the property. 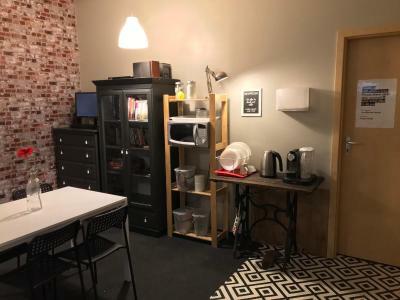 All guest rooms in the hostel are equipped with a coffee machine. Some rooms also offer a kitchen with a microwave. Speaking both English and Polish, staff at the reception can help you plan your stay. 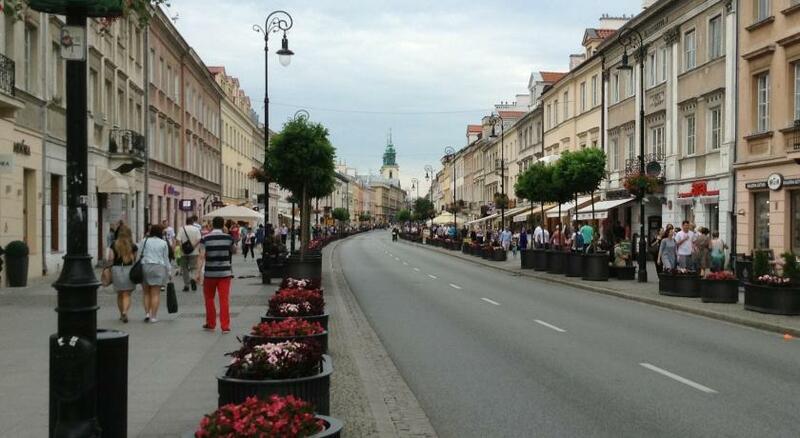 Krakowskie Przedmieście is a 17-minute walk from The Warsaw Hostel, while Presidential Palace is 0.9 miles away. 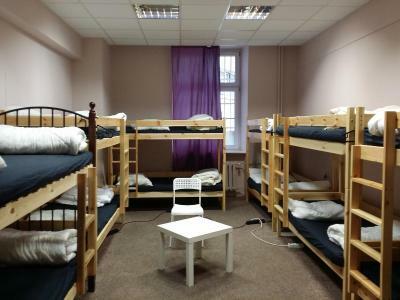 The nearest airport is Warsaw Frederic Chopin Airport, 6 miles from the property. Sródmiescie is a great choice for travelers interested in food, museums and culture. 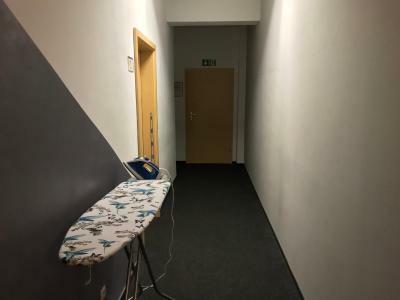 This is our guests' favorite part of Warsaw, according to independent reviews. 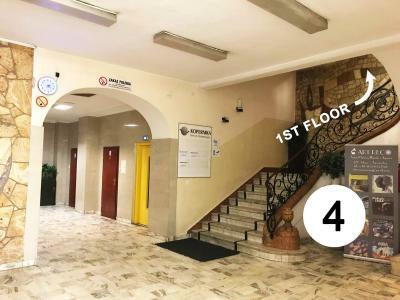 뀐 Located in the real heart of Warsaw, this property has an excellent location score of 9.0! 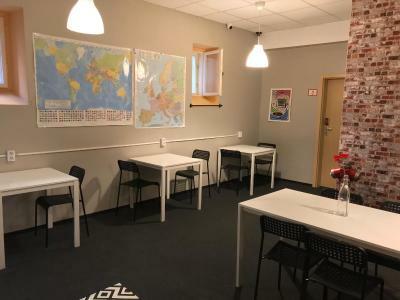 When would you like to stay at The Warsaw Hostel? 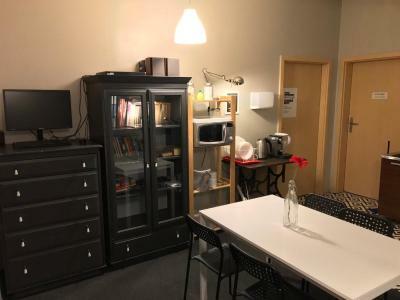 This twin room has a tea/coffee maker. 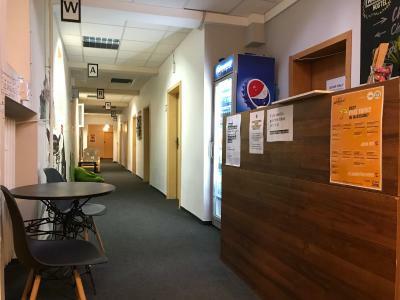 Public parking is available at a location nearby (reservation is not possible) and costs PLN 3 per hour. 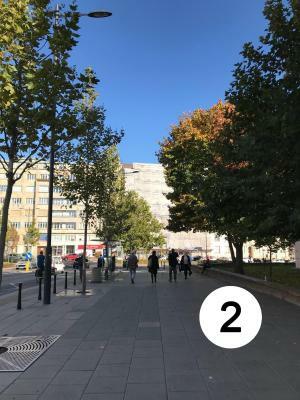 Area Info – This neighborhood is a great choice for travelers interested in food, museums and culture – Check location Excellent location – show map Guests loved walking around the neighborhood! 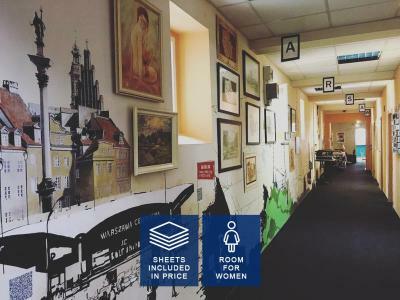 House Rules The Warsaw Hostel takes special requests – add in the next step! The Warsaw Hostel accepts these cards and reserves the right to temporarily hold an amount prior to arrival. Please note that there is a deposit of PLN 50 per person for the group of 4 or more people. 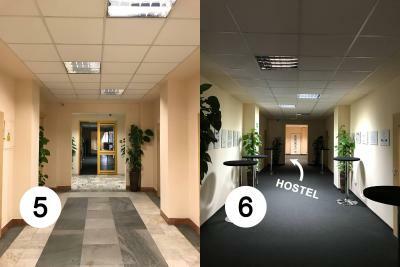 Please inform The Warsaw Hostel of your expected arrival time in advance. You can use the Special Requests box when booking, or contact the property directly using the contact details in your confirmation. 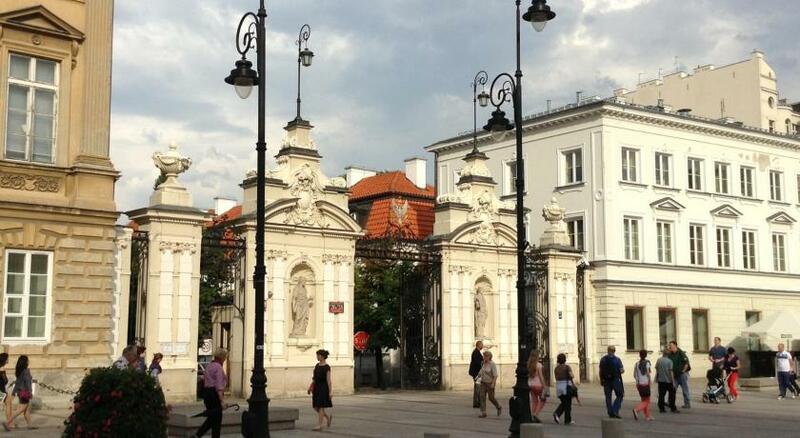 One of the most picturesque neighborhoods in Warsaw! Filthy dirty, smelly and miserable. Full of unwashed, long term, hostile to tourist redidents. 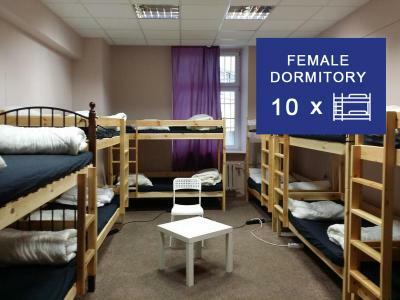 If you're on holiday in Warsaw do not stay here. Room could be a little more cleaned/modernised. 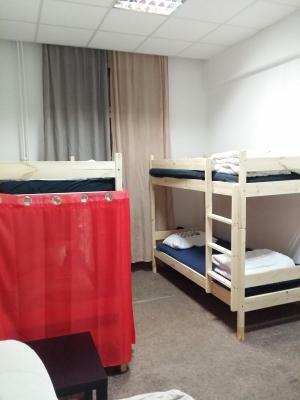 Comfortable Hostel, good location and cheap. The matress was realy realy thin and bigger than the bed itselfs. 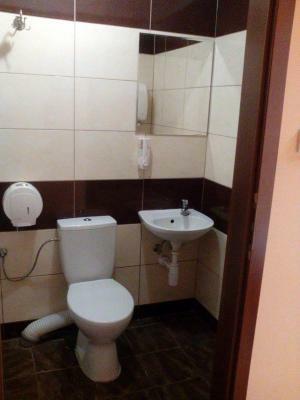 The bathrooms could be more clean. Good perfect and easy location . Right in the center cudnt be more nice . 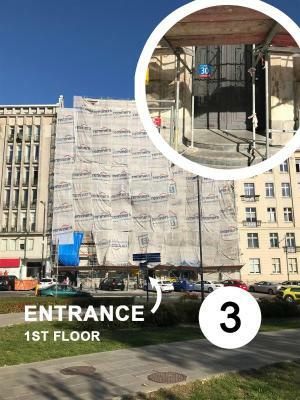 Just one floor up and safe secure . 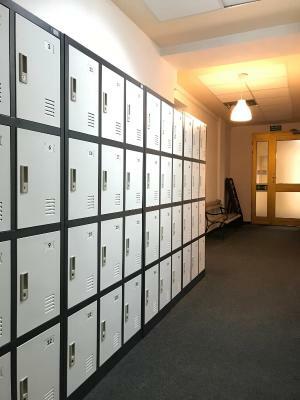 Lockers near reception keeps it more secured in camera. 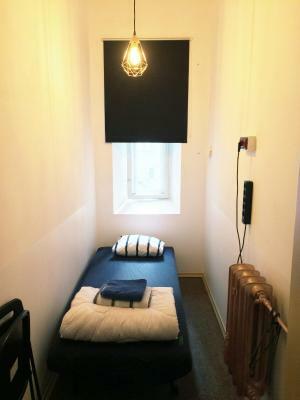 Also beds and blankets are fine and rooms have very much space available . Totally recommend this . The kitchen has everything which works perfect . The mattress was very thin and the bed's slats could be felt through it. I also would have preferred my own lockable locker in the room. Reasonably quiet. The area is very central. The place was fairly clean. Good value for money. I really don't like to write negative reviews, but this was quite a stressful stay. The kitchen was not useful. Only 1-2 spoons, 1-2 forks for everyone, fridge ALL PACKED with some spoiled food, as they don't mark the date/name on the fridge, so forget about using the kitchen. The kitchen also always feels dirty. Next, rooms. The second floor of my bed was moving +-15 cm when I was getting up/down or just moving in the bed. Kinda scary. :) People. 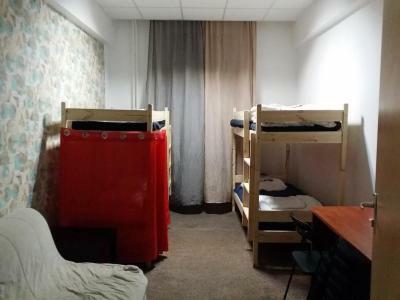 I stay at the hostels almost every month, but this crowd was mostly scary. 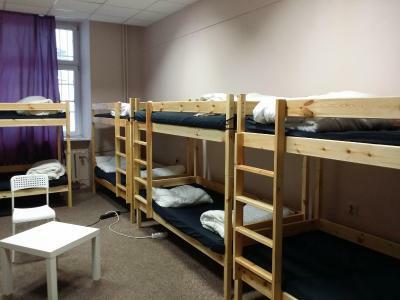 I don't want to discuss why, but if you are used to hostels with normal people (who travel), this one was quite different for all 5 days I stayed there. Table. I booked the room that had the desk/table on the picture, so I can work/study. No, there was just floor in that empty space. There are only a few tables in the kitchen, but when people are up (7 am to 10+ pm), tables are busy. You can study on the floor or in bed. Staff. Not friendly, not rude, just indifferent. Location is good. WiFi was good, so if you want to work, you can wake up at 5 when others sleep, take a table at the kitchen and work/study. Also, the showers were hot and quite clean. And it was warm in the room. Hard to find. 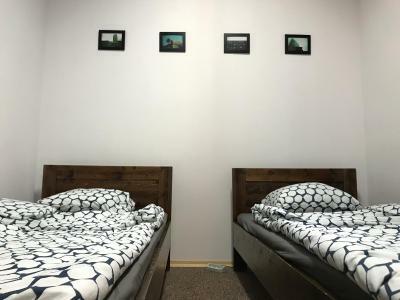 intermittent twin beds. Value for money. Not far from central station. Central position. It's warm, very clean and cheap!